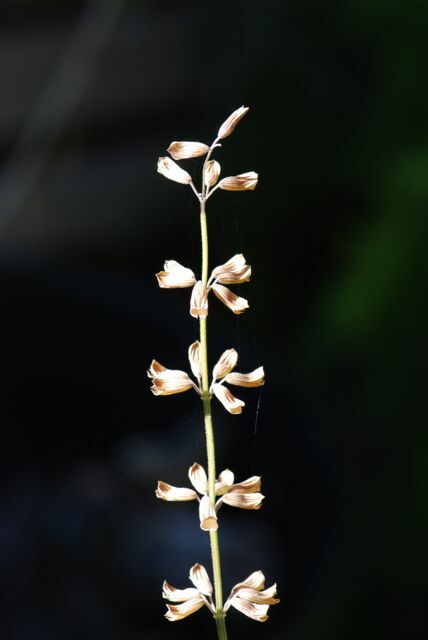 Our seeds this week are actually from a plant that is related to last week's plant. 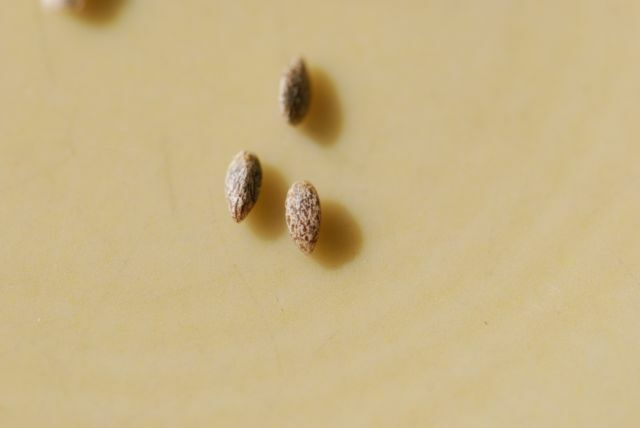 The seeds don't look much alike, however. 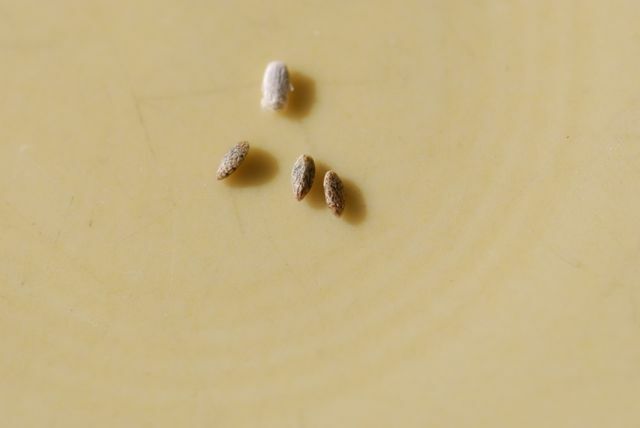 This week mystery seeds are speckled and teardrop shaped, rather than round and brown like last week's. Today's seeds were hard to retrieve because they drop from the plant as soon as they mature. In fact, the ones in these photographs might not be fully ripe. Perhaps seeing the "seed holders" from the plant will help?